For many, discovering this idyllic setting of Coastal Delaware and all of its charm is simply life-changing. In fact, it’s why those who experience Coastal Delaware often decide to call it home – the perfect place to live, play and explore. Delaware Shore Life infuses the soul with its gentle breezes and lively towns, each defined by its own character and those who call it home. Now we are inviting you to awaken your heart and all of your senses to what this magical place has to offer – from its stunning homes to its upscale lifestyle. Becoming part of our vibrant tapestry in Coastal Delaware is about experiencing all it has to offer. You'll discover places that will capture your heart while meeting new people who will quickly become lifelong friends. This is where you’ll share stories and create memories. This is home. A day on the beach with the family, time on the water, an early-morning round on the course, followed by an evening out with friends for dinner and live music. 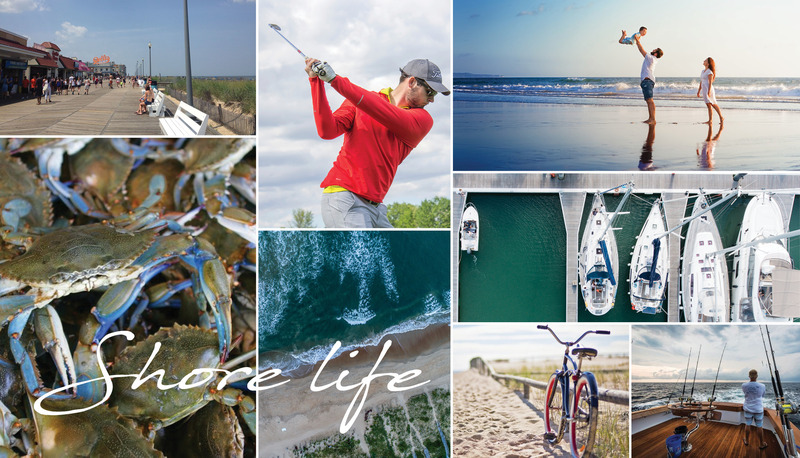 Imagine it, live it, love it – here in Coastal Delaware. Discovering the world around us is perhaps one of the most enriching experiences we can have. From the breathtaking sights and sounds of our coastline to our local cuisine, culture and history, new experiences will be a part of your everyday.